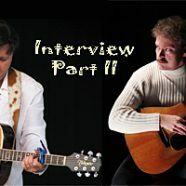 In Part I of this interview, Tim and Bobby talked about how they first decided to collaborate together as songwriters, how they go about creating brand fresh songs and whether they write songs with specific performers in mind. 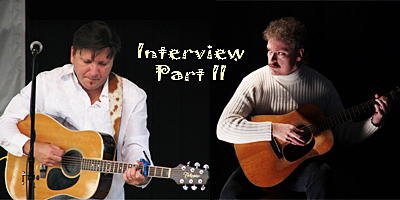 Here in Part II, our conversation concludes with some of their co-writing favorites, what they’ve learned over the years about creative collaboration and a bit of advice for other songwriters who may be interested in co-writing. What is one of your favorite songs you’ve co-written, and why? Gee, I guess “My Ropin’ Days are Done” from the last Blue Highway record (Through the Window of a Train) is one of my favorites. Bobby can tell you how that one came about. I also like “A Week From Today” on that record. A friend of mine who is a preacher came over to our house and said he was stopping by the prison on the way home — a lifer there was getting out the next day and he dreaded the thought. I wrote that down, and Bobby and I wrote it a week or so later. Lots of people have asked if it had anything to do with “Shawshank Redemption,” but neither one of us had seen the movie at the time. Another song I really like is one called “Back in the Day” that hasn’t been recorded yet — it’s about my grandma Ruby and our high school years. I’m also very excited about “Back in the Day” as well. We just recently wrote this one but it is very personal for both Tim and I as it brings up our high school days and the people we went to school with and the school pride that we had. For me, I think “If Only For A Day” on Tim’s first solo CD Endless Line is as good as it gets. The last verse of that song is as strong as it gets for me. As a songwriter, I am grateful to have my name attached to that song. What have you learned over the years about synergy and the unique aspects of creative collaboration? It’s a funny thing. I have to be able to trust the other writer on a basic level in order to repeatedly co-write with them. I’m totally comfortable around Bobby, and it doesn’t hurt that he’s one of my best friends. But “synergy” is a good word for what we do — the song definitely wouldn’t come out of either of us alone. It’s become so comfortable, in fact, that I’ve almost quit writing by myself, and I’m trying to force myself to get back in that groove! comfort level has to be there as well. Many times on the melody I might hear a chord that Tim wouldn’t hear and vice-versa. You have to have an open mind and come together with a collective thought that you want to come away with the best song possible. As Tim mentioned earlier, we are best friends and have written together for so long that we can communicate in a very open dialog and not get offended if we don’t like the other’s suggestion. What advice do you have for other songwriters who may be interested in co-writing rather than riding the range solo? Try it — you’ll like it! Seriously, I think co-writing can break you out of ruts and can help you develop your own songwriting voice even further. Collaboration is at the heart of the songwriting tradition — Lerner and Lowe, Rodgers and Hammerstein, Lieber and Stoller, Lennon and McCartney, Bacharach and David, Goble and Drumm… Sometimes we develop undesirable quirks in our writing “footprint” that become permanent unless we co-write. What co-writing does for me is it allows me the opportunity and it forces me to write. I have many irons in the fire but songwriting is my greatest passion. I stay so busy that if I didn’t schedule in a time to co-write then I’d never get the opportunity. I keep guitars sitting all over the house and I will work on a song for fifteen minutes here and fifteen minutes there but scheduling a co-writing session for next Tuesday night frees me up next Tuesday night to focus on nothing but song writing. Gosh trying to find the lyrics to the awesome song by Stafford & Starnes called: Either Way, I’m Going Home is nearly impossible, lol. Jeanette Williams gives it Angel Wings.